With the consistent increase in various criminal activities worldwide, everyone must use sophisticated methods to stop anti-social elements from breaking into the house. 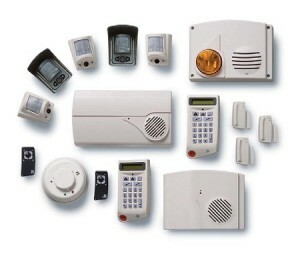 Many companies provide products that can assure you about the house security. One of them is Honeywell Systems’ manufactured device, which you can install in your home to stay alert from any type of intrusion. There are 300 engineers working to produce the devices and products like Honeywell Lynx Wireless Home Security System so lets talk about what we have in package for users to look for and also uncovers the features and specification. This is a highly demanded product that Honeywell ever released and also a good home security system present in the market. It has three sensors for door and window, a key fob, a motion sensor. These hardware packed in the system makes it possible to watch over your home after installation, it also, need an LT-cable and communicator. You will never feel unprotected again. Home security systems reviews help people to buy products so the Honeywell L5100PK is a good product as market suggest. It is a wirelessly connected and use a touch panel for control. So it is a Wireless Security System and with it your home is protected with a multiple types of Intrusions. The key Fog will help you to on or off the system from anywhere in the reach to wireless alarm control panel. The Key fob can also be used to set a panic alarm, to stop the intruder from breaking into your house. So when intruders break in, it will alert you and scare them from doin any wrong activity. There are many features and specification in the in the Touch panel. One of the best is the built-in Alarm siren, which makes a scary noise, strong enough to scare the intruder. It simply activated by the one of alarm sensors. It packages a huge touch screen, which is perfect and easy to use. It is very important that the system that you are using it capable enough to last a long time and it’s battery makes it possible. It provides 4 hours of battery backup in case of power outage or when the LYNX alarm panel is separated from it. What makes it an amazing product is, you can make several changes or updates the features in the devices. By adding the Honeywell L5100-ZWAVE Z-Wave, you will be able to control the lights, locks and thermostats so whenever you come home just turn it off and with a few touches of Screens you can turn on the lights or control the temperature in your home and can also lock all the deadbolts. Home security systems reviews had suggested that it is a good product and widely accepted in the industry. It is flexible, durable and robust product to consider for your house with which you can keep a complete eye on the your place.